This Bat House 100 is produced at Scenic River Industries a Shelter Workshop located in Missouri, providing Employment for people with disabilities. Buy This Bat House today and help out Scenic River. http://www.scenicriversind.org/ . 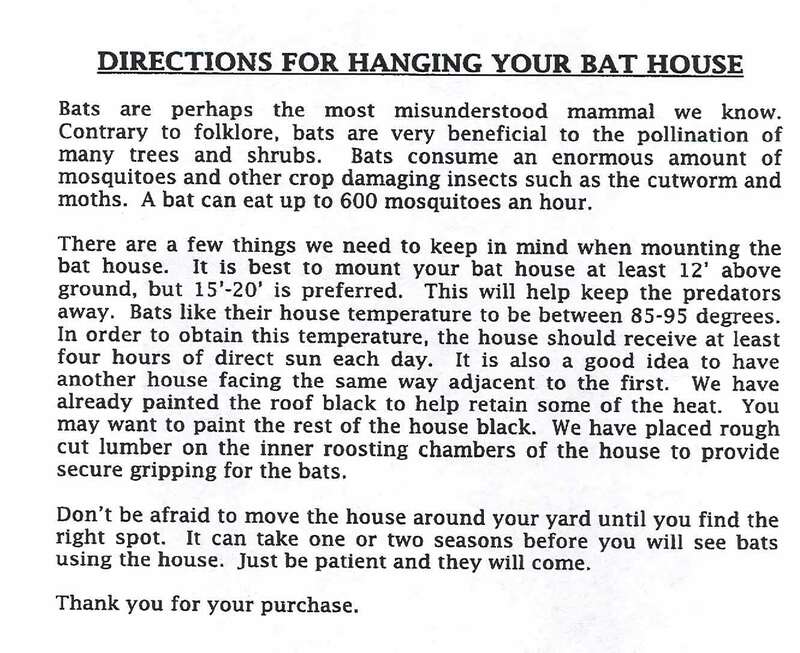 The S&K Bat House Holds 100 Bats. 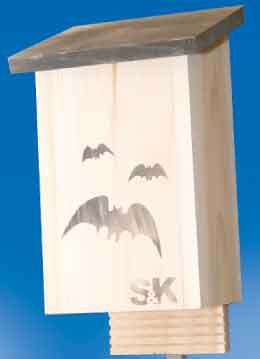 S&K's bat house is perfect for suburban and rural areas. It holds up to 100 bats. Its flat back allows for easy hanging on any surface.